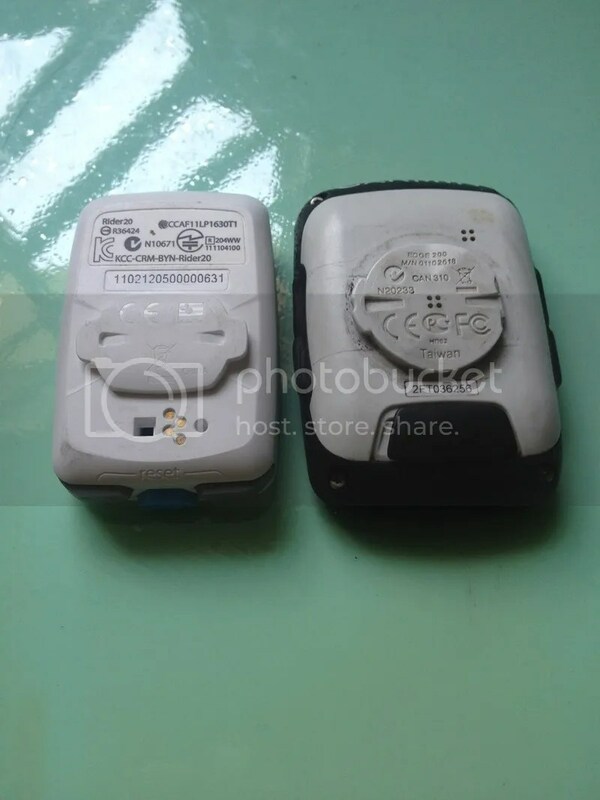 Bryton is a Taiwanese company that manufactures Sport GPS devices for athletes and consumers. A few of my team mates are running the Bryton rider 40, while I was previously running the Garmin Edge 200. I was looking for a cycle computer to replace my Garmin as I wanted more data; I wanted to know my cadence, and heart rate. Upon surfing the internet at my usual online cycling store(bike 24), I chanced upon the Bryton 20 on sale and purchased it as the Eur rate made it pretty cheap. My initial choice was to go back to Garmin by upgrading to the edge 500, but it costs 2x the price of the Bryton, which made it pretty unattractive. The Polar CS 500 (which I am pretty familiar with as I used a Polar CS100 for about 2 years) came in a close second, but upon reading that it requires a dongle to upload, I was turned off by it. I thought of the Cateye stealth series as well, but online searches about uploading data was sketchy at best. 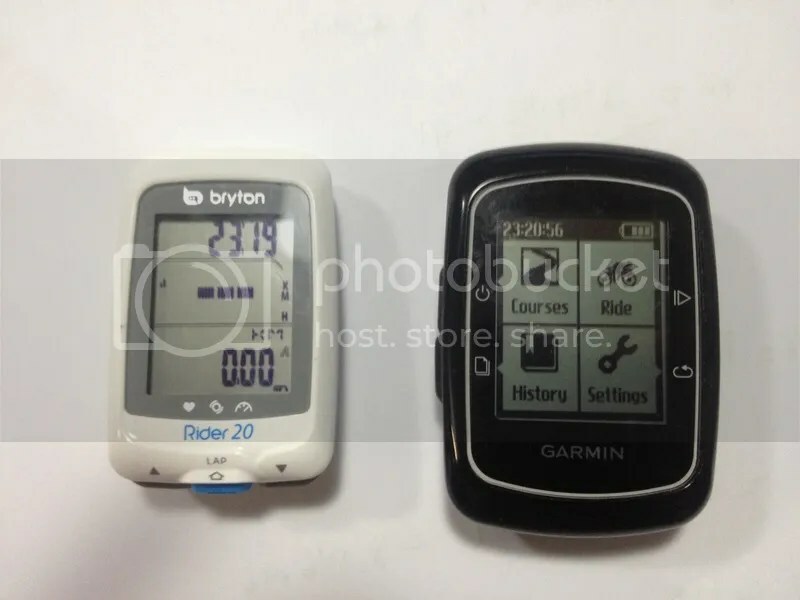 When comparing GPS enabled cycle computers, I feel that it is always good to compare it with the Garmin Edge series. Their computers are user-friendly and their tracking software are easy to use as well (albeit with minor bugs) On to physical comparison. The Bryton is much smaller than the Edge 200 both in terms of size, and as well as the weight. I am quite impressed with how small it looks, in fact it could pose off as a typical “cateye” kind of cycle computer. This means it looks pretty small and discreet on the stem, rather than their bulkier cousin. One thing that I like about the Edge 200 is that the rear USB plug is shielded from the elements by a nice fitting rubber plug. 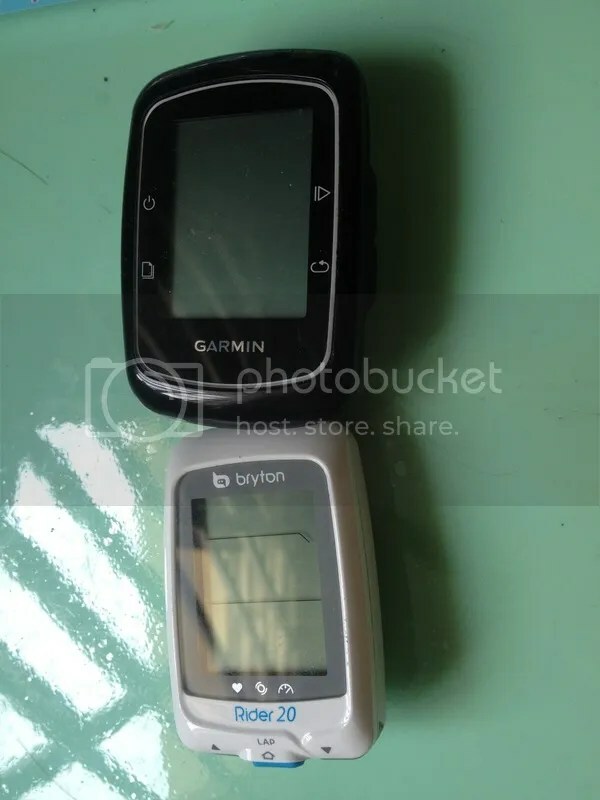 No such feature, on the Bryton Rider, instead, it uses a proprietary 4 pin system on the back (I suppose 2 is for the Power, and the other 2 is for the usb) My long-term experience is that it tends to collect dirt and that power and data transfer is impossible without cleaning up the golden female pin. I hope that Bryton will implement a standard usb design (such as the micro usb or the mini usb) so that users will be able to use other usb cables should they lose their cables. The other unique feature not found in the edge 200 that is found here is the link up to your ant+ speed/cadence sensor as well as to your heart rate montior. The sensors used need not be from bryton but rather any ant+ compatible sensor. I am currently using the garmin gsc 10 speed/cadence sensor as well as the bryton heart rate montior. Other than a slight delay in recording the speed and cadence, the combo has worked flawlessly so far. A pecularity of the Rider 20 is that the cycle computer somehow does not operate while it is charging, so if you have to do a ultra long distance riding, you might want to consider a garmin instead for that extra long one day long ride that you have. It is rather simple to use just plug your device in and use download bryton bridge, and you can download all your files from your cycle computer into the bryton data centre. The Bryton is very nicely priced, being signficantly cheaper than its direct competitor. However, due to it being rather a new player into the market, the product does have its drawback which can be ironed out in the next update (I highly doubt the durability of the golden pins in the long run.) At that price range, none of the competitors in the market is able to provide such features. In short, it is a fun-sized cycle computer that will be able to function anywhere (including tunnels) while tracking your data at the same time. Disclaimer: This post was not paid for nor sponsored by Bryton, Bike 24 or any of the companies mentioned in this post. This product was paid for using my own money and as at time of writing still sitting on my table. Any factual/ spelling errors on the article is concidental due to it being typed at 1155pm in the night, and I will seek to correct any errors made. 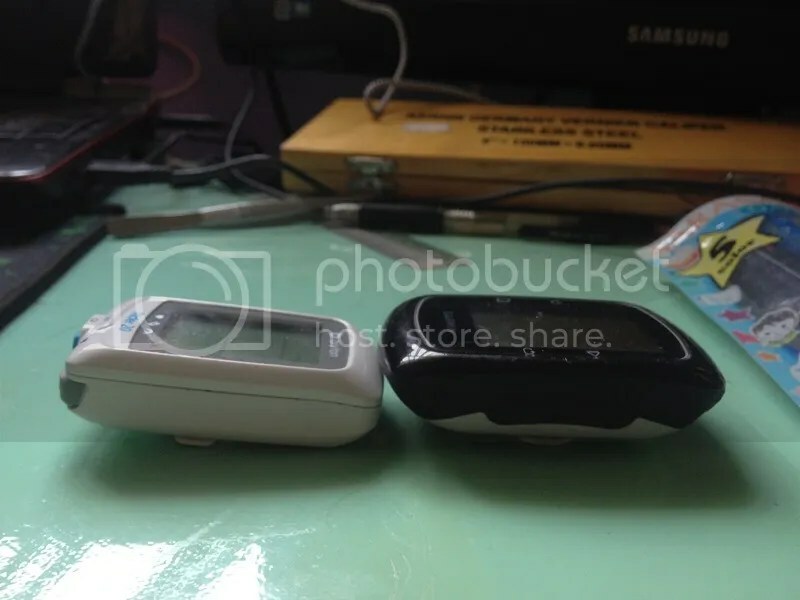 This entry was posted in Bryton, Reviews, Upgrades and tagged Bryton, Garmin Edge 200, GPS enabled cycle computer, Review, Rider 20. Bookmark the permalink. Have you already tried the new Garmin speed and cadence sensors (magnet-less) with you Rider 20? I think I will contact bryton support on the firmware updates. I dont face such problems with the speed sensor, it seems pretty consistent so far, although theres a slight lag when displaying the speed. With the garmin GSC-10 and BT’Win speed + cadence sensors, I had no problem with my Rider 20. Even when I use the new cadence version (magnet-less) from Gargmin I get no problem at all. The problem only occurs when I use the new speed sensor, unfortunately. 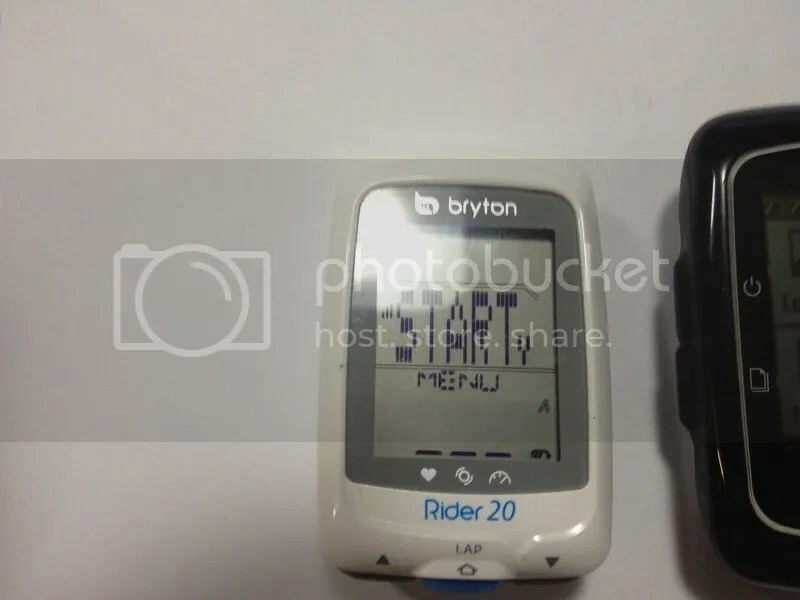 I’ve been in contact with Bryton’s support and they have told me they don’t plan to update Rider 20 firmware so they fix the compatibility problem. 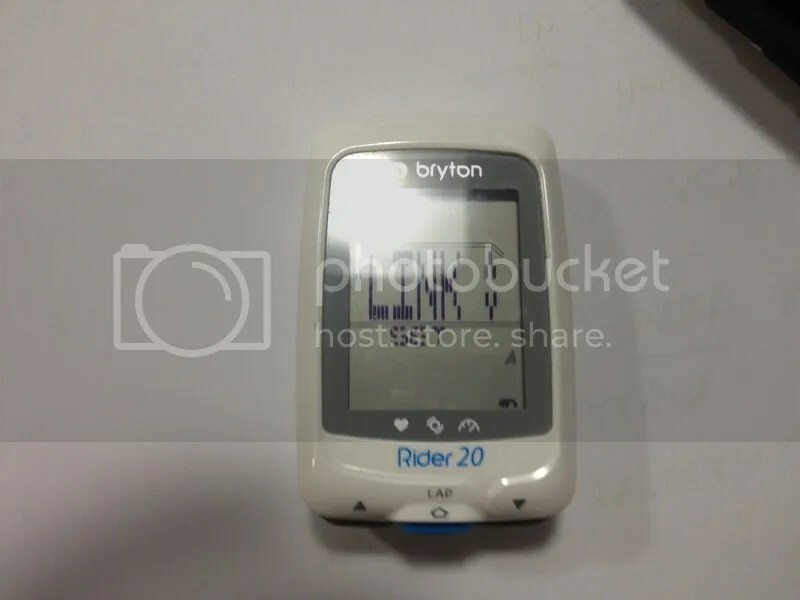 The biggest problem with the Rider20 is that it reads data faulty with Bryton Bridge. It writes trackpoints every 4 sec, but the reading is like 4 sec, 4 sec, 4 sec, 3 sec, 4 sec, … etc. 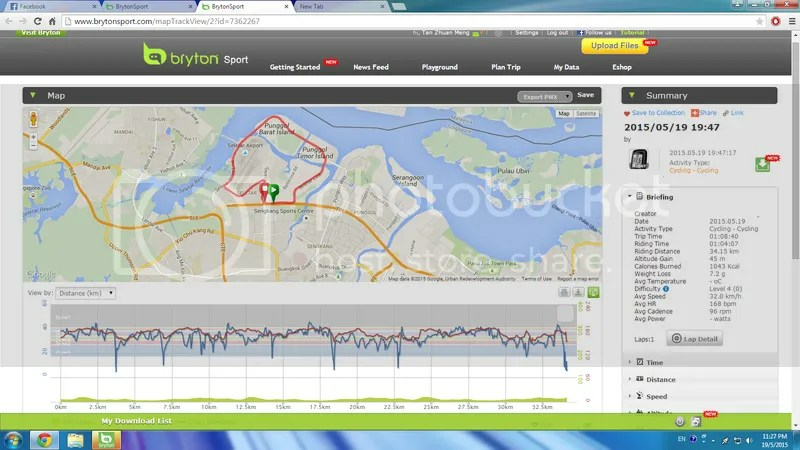 In the long run it causes a huge time slip (about 1 min in every hour), when analysed with different apps then bryton. E.g. with Strava the resulting logs are quite useless, and comparing riding data with friends on Strava segments leads to confusion. You can check the effect on strava with inspecting the speed graph, it contains little bumps periodically, caused by false readings. Bryton support completely understands this problem (some had long mailing discussion with them), but they claimed that they won’t correct it, and won’t release a new firmware (they fixed the problem with later releases). For me it is still a mystery why do they continue to sell this product.